Mexico’s Human Rights Undersecretary, Roberto Campa, has announced that his country will be embarking on a national debate on the legalization of marijuana. However, with Mexico matters are complicated somewhat by the fact that the country is a signatory to international treaties that make the road ahead uncertain. The same is true for Canada, which has stated intends to legalize marijuana. The difference seems to be that Mexico’s President Enrique Peña Nieto has been aware of his country’s treaty obligations; whereas Canada’s Prime Minister, Justin Trudeau, only now seems to be coming to this realization. During the 2012 Mexican presidential campaign Peña Nieto did not campaign on legalization. 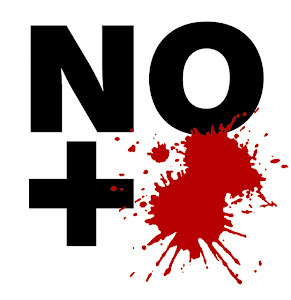 Not so with Justin Trudeau, who was elected Prime Minister of Canada on October 19, 2015. During the Canadian campaign, the three dominant Canadian political parties were clear in their positions. The New Democratic Party (NDP) under Thomas Mulcair campaigned on decriminalization and consultation towards legalization. 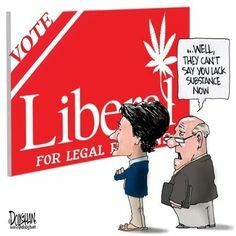 The Conservatives, under then Prime Minister Stephen Harper, campaigned for the status-quo, and the Liberals under Trudeau campaigned for legalization. The first two plans were realistic – the third, as we are learning, was pure politics. Trudeau, if he were honest, would have taken an approach closer to Muclair’s – and to Mexico’s. Now that Trudeau is in office, he is being given immense allowance for apparently being unaware that Canada is a signatory to the Single Convention on Narcotic Drugs of 1961 (amended by the 1972 Protocol, which Canada ratified in 1976), the Convention on Psychotropic Substances of 1971 (ratified by Canada on Sept 10, 1988), and the United Nations Convention Against Illicit Traffic in Narcotic Drugs and Psychotropic Substances of 1988 (which Canada signed late in 1988 and further ratified in 1990). Mexico is also a signatory to these three treaties. This is why, though there is an ongoing discussion with regard to legalization in Mexico (former president Vicente Fox has long been an advocate) no one in this Latin American country – both a producer of marijuana and heroin, and a critical link in the supply-chain for cocaine and crystal meth – is making any promises. But in Canada, during Trudeau’s campaign, marijuana legalization formed a central pillar to the Liberal Party of Canada’s policy platform. Yet not one of his esteemed policy advisers, and not one journalist, observed that legalization was a complete nonstarter until these international legal issues were addressed. The commitment was even reaffirmed in the speech from the throne after the Liberals formed the government. Of course, there is powerful logic to beginning with consultation, which then leads to decriminalization and, yes, legalization – as the Mexican and NDP approach suggests. With a more lenient approach, resources can be directed from law enforcement and from the judicial and penal system toward rehabilitation, education, as well as health and social services. The so-called ‘war on drugs’ has cost trillions and sown misery. Mexico, of all places on earth, knows this well enough. To his credit, Trudeau is setting up a task force representing all levels of government to see how this can work within Canada, and is asking for input from the police and from public health experts on how a sales and distribution system might work. There’s no doubting his sincerity. But, as with electoral reform, the 25,000 refugees by Christmas, the potable water to 93 First Nations’communities in his first term, this was one of those promises that could not be kept – at least not in the time frame promised. The Mexican approach will be to hold a series of five forums with public and academic input. The first will be in Cancun, on January 26, and will focus on "public health and prevention". The next, on February 23, will focus on "ethics and human rights". On March 12, the theme will be "economic and regulatory aspects". On March 22, the discussion will be on “citizen security”. The consultations will then conclude on April 5, in Mexico City, when the four issues will be brought together, and conclusions will be drawn to support a possible path toward legalization. Now, being Mexico, this might be a dog and pony show. But no one in this country – itself hardly a model of transparency – is standing up and telling tales to the electorate in front of a doe-eyed press that come the next election it will simply abrogate its responsibility to all international treaties and legalize marijuana. For that, you’d have to fly to Canada.